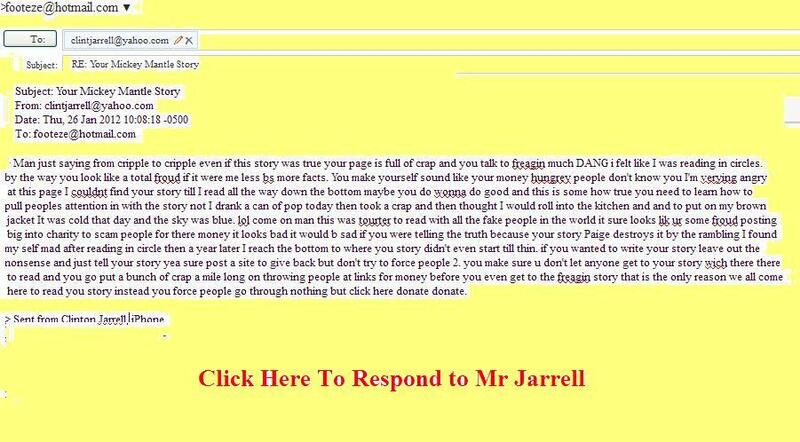 You need to find out why you found this page - was it Fate ???? This is The Quintessential "Touched by an Angel" story. This story garnered me a "Great Americans Award"
What brought us together ? and to show "Miracles Do Happen"
to propagate My "Pay It Forward"
tell them, "the thanks will be when they do something nice randomly for someone else"
Well, God sent me to your website this morning!! Your writing made me both laugh and cry. during the horrible sounding nerve-shock tests!! I got up this morning worrying about that and all the things I don't have. Well, my Buddy Upstairs nipped that right in the bud and sent me the link to your web site!! I WANT TO THANK YOU ABOUT A THOUSAND, KA-JILLION TIMES!! & what do you mean you "will never be 100% again"?? Dear man, I must tell you that I, for one, think you have FAR SURPASSED 100% !! those legs of yours will jump you as high as you care to go don't you? my story is full of B.S. without fail, describe as "A great night for baseball"
The feared New York Yankees were in town to battle the Indians. 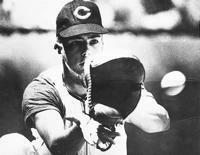 as he was thereafter ineffective in his pitching efforts. Tony was a sport photographer for Sports Illustrated & the Cleveland Press & also freelanced.
" commemorating the greatest NFL photographs of the century. He counts 20 Sports Illustrated covers to his credit. He also drew Albert "Joey" Belle's ire for the infamous 1996 baseball-throwing incident. where he photographed everything from murder to zoo life. was a finalist for a Pulitzer Prize. slaying of Lee Harvey Oswald. played in my life IS the main focus of this story. A Country Western / Oldies Music Lounge on Brookpark Road, in Parma, OHIO. in the next few years and was planning on that being my livelihood. with a bucket that could not have weighed more than 25 pounds full. so I left the bar to my help and went home thinking it was just a bad muscle strain. - I had absolutely NO feeling NOR could I move my legs. I was there only 1 1/2 Hours before I had an emergency surgery. I saw a doctor talking with my mom in the hall outside my room and she was crying. I give you very little chance of ever walking again - about 5%". and had exploded while I was sleeping. 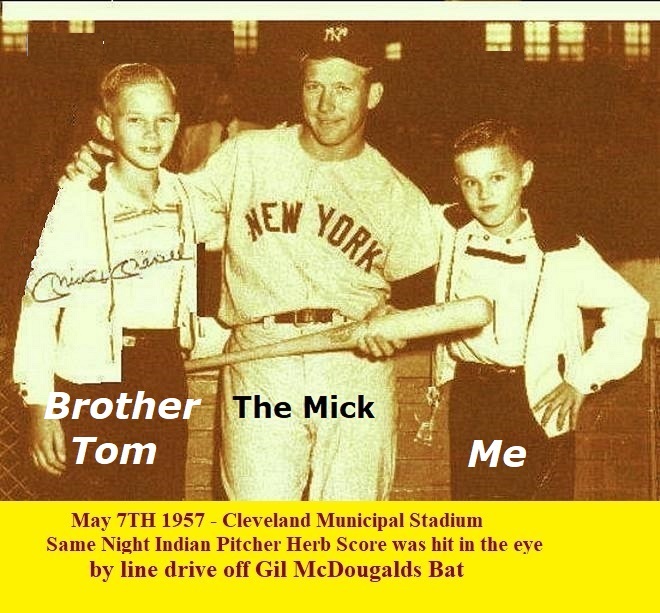 and reminded me as to what "The Mick" had said. the patron saint of miracles and hopelessness & lost causes if I ever needed anything. I started to pray for the seemingly impossible - to walk again. I am going to make the book available on the net soon as a read file. nor was the any reaction to the pin prick tests. very depressed, thinking about my situation. I was immediately assigned a psychologists to help me deal with the changes in my life. and how to function on my own. actions as simple as putting on socks or putting on a shirt. These all were enormous hurdles. 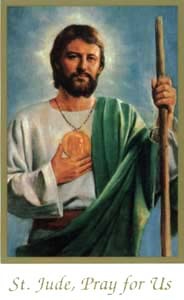 I kept repeating the prayer to Saint Jude Found HERE over & over again. I had to learn to be independent, again. I was urinating through a catheter and using a bag for bowel movements. which eventually became pure torture. An EMG measures muscle response to stimuli and nerve conductivity. and then needles are PLUNGED into muscles in your legs at various locations. to measure nerve response and muscle reaction. This changed as I slowly started to get more sensitivity back. My doctor said - this was "impossible "
1 1/2 hours total per day. Were my Prayers being answered ? Was a door opening for me to do the impossible" ? I was discharged from the hospital afraid, scared and unsure what the future held. I was assigned to a new out patient therapy facility near my home. My mother came over and helped me re-arrange my home to be more wheel chair accessible and easier to maneuver around. I had a ramp built to my front door. he was 67 when this started. He was never late nor did he once complain. and I was instructed NOT to get my hopes up - in other cases they saw a small recovery - then nothing. and the technician lifting and bending my legs since I could not perform these tasks. After a month I had progressed to lifting my left leg off the pad a few inches on my own. My right leg was not responding to the therapy as quickly as my left. Leg weights were added. and I took my first 2 steps on my own without using any support to hold onto. "It was the BEST DAY OF MY LIFE"
To me it was like conquering Mt. Everest. The therapist caught me and really laid into me - telling me that I could have fallen and re-injured myself. to see how much improvement I had made. and I might NEVER walk again ~ their prognosis had to be wrong again !!!! "Bill Tomsck and his band of Guardian Angels"
He asked me "Bill, do you think you can get stronger ?" I answered "YES, without a doubt". He made arrangements for me to go to another therapy facility. I started another regime of treatments. would peddle probably a thousand miles, after a while they added a set of 3 stairs with a railing. I can not even venture a guess as to how many times I transversed up and down those stairs. and I remember not sleeping for 24 hours previous to it in anticipation of the pain. It was as bad as I had expected. and it was the opinion of the doctors, again, I had reached my limit of recovery. So I was once again cut loose and ordered to exercise each day to maintain the muscle control I had attained. what had been presented to me at first. and I get very short of breath and my heart pounds. I try not to over-exert myself but when I do I suffer from it. I still have the "Foot Flop" or "Foot Drop" in both feet - more pronounced on the right especially if I am tired -- . I still have good days and bad days - more good than bad by a margin. These cramps always wake me up, so my sleep routine is drastically altered. and they usually comment to the effect "I thought I had troubles"
so I help and hopefully inspire them one on one. I will always be "still recovering"
and how lucky I am. The traits of determination and perseverance and patience were deeply instilled in me. and call it a "Miracle"
BUT, I can explain it - Prayer, faith and Divine Intervention. "Having the Tenacity of an Ant at a Picnic". In my opinion I did the "IMPOSSIBLE"
even with eating only one meal a day - from 210 to 250.
as bar tending and managing a bar require very physical activity. I have just about given up on that . At least I can get around on my own and drive. "I am the luckiest man on the face of the earth"
and I continue to believe that in spite of my continuing situation. testing my resolve to see if I will carry through on my promise "To help others." AND stem cell research is just over the horizon. How can this man feel lucky ? to the steroids I was given during my initial therapy. I would need hip replacement surgery, first on my left hip. BUT I could not see depriving myself of years of a more active life just to prolong the inevitable. Two doctors refused to do the hip surgery stating I was too heavy - I weighed 250 in 1997 pounds. I have found thousands of others while searching the net for "AVN"
and now suffer from AVN in their hips and shoulders. - over the next two years - I visited 18 different doctors and kept over 100 Doctor appointments as a result of this event. I have again had to put off the things I was planning to attempt. Overall I try to remain as active as possible without over doing it. I don't do anything very strenuous. and my determination directing me to recover - none of it would ever have come about. to lend his thoughts and inspiration to two young boys still gives me goose flesh. but the impact his words & actions had in my life will never be forgotten and I want to share it with everyone. it was time to start to keep my " Promise " to help others. This became an all consuming passion. "I Shoulda Thought of That" to inspire and help others deal with similar events in their lives. and led me on the first steps to keep my "Promise to Help Other"
I saw a problem and developed a device to solve that problem and "help others"
with help from a college business class who did some research and built a feasible marketing plan. this was an additional way I could "help others". and continue to be far more frustrating and stressful than the therapy. "Foot Care Gifts for any soldiers we Donate to any cause you designate"
or anyone who has ever said 'My Feet are Killing Me" or "I'm Stressed Out"
the reasons for initiating my efforts to "Help Others"
The result of the "Promise"
'My Feet are KILLING me !
" I know that is YOU !!!! 200 were bid on and sold. 100% of the net profits went automatically directly to that cause to disburse. -- You can find more of my sites by doing a "google" for "great gifts for any soldiers free"
and the inventing experience took their toll. That Info is Here - . You see, I always remember and am still attempting to think up ways to keep my "PROMISE"
So, I have succeeded in helping some but not to the extent I know is possible. It all depends again on fate. before I will settle for less. I am bound to do so. In the meantime I must remember AND keep practicing the Pay It Forward Theory . "My Feet are KILLING ME" . I believe that will happen - Maybe that someone is you ??? 'My Feet are Killing Me"
I have written and self published the book - I Shoulda' Thought of That"
I firmly believe "All things happen for a reason and are inter-connected." Without the injury I would never have had the idea for the "Foot-Eze" or the direction to write the book. Without the recovery there would be no Mickey Mantle Connection OR desire to help others. - I can NOT do it, alone. It is within my reach and I have little control over it. and was put in a position to be able keep a promise which has the potential to result in helping millions. What do you think ? Was there some mystical reason for you finding this page out of the billion and a half pages on the WWW.? in getting exposure for this story. 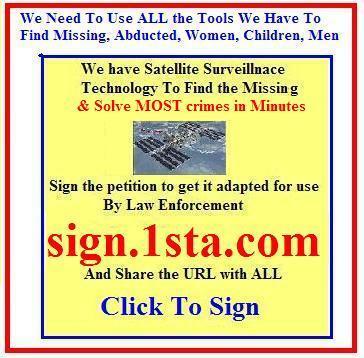 Post it on newsgroups - write the networks and your local papers and tv stations. I will grant interviews to anyone. Contact the CBS evening news reported Steve Hartman @ http://www.cbs.com and go to evening news and look for "Assignment America" ! 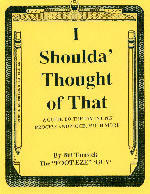 My book "I Shoulda Thought of That" was written - as still another way to help and inspireothers with my "Promise" in mind. after seeing the innovation they - to the man said "I Should have thought of That"
It contains this story and a copy of the Mickey picture is included in each copy. I had 250 copies printed and have run out of those. This Could be my real vehicle on the road to keep my "Promise"
at three Fund raising walks and runs with some success. 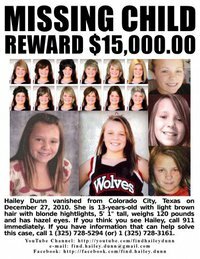 It would be great if someone contacted me after seeing this page with an offer of help. which was a direct result of my injury and inability to bend. This Could be THE ultimate WAY in which I will keep my "Promise". He regained consciousness four days later at the University of Virginia Medical Center in Charlottesville, VA.
She was Christopher Reeves wife. announced she had lung cancer. Will Buffalo Bills Player Kevin Everett ever walk again ? Christopher Reaves Died from complications from a serious paralyzing spinal injury info. The inventors digest invention idea submission. inventors digest, inventions, patents for sale. Herb Score, Cleveland Indians 1995 1997 world series. Ava Joy is that like almond joy ??? to have Bill as a guest on their show and tell his story. CNN AND the CNN top 10 stories of the day. 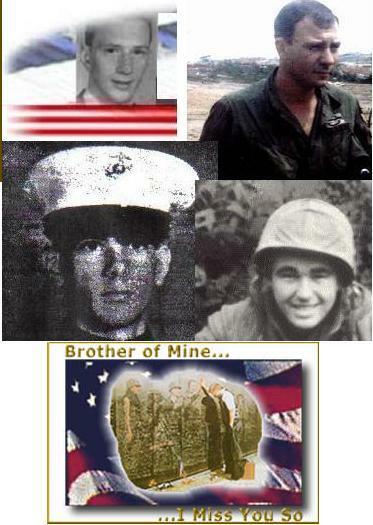 Inventors of the FREE FOOT CARE FOR SOLDIERS AND HIS TOUCHED BY AN ANGEL STORY. how many people do you think were watching a program about peoples life stories. presented me with a "Great American Award" FOR THIS STORY and my efforts to help others. I also appeared on "AT" to promote my Book. while on vacation On Cape Coral, FL. Jesus, Christopher Reeve. Oprah winfrey needs to read this it is not a James FREY story.